How can a fatty acid help with fat loss? CLA is a fatty acid found in beef and dairy products. It has many health benefits including bodyfat loss. Recent research shows our present farming techniques have lowered the amount of CLA in beef and dairy product, which means supplementation of CLA will be critical to receive all the health benefits that CLA offers. How can a fatty acid help with fat loss you might ask? CLA assists in the body burning existing fat for energy. 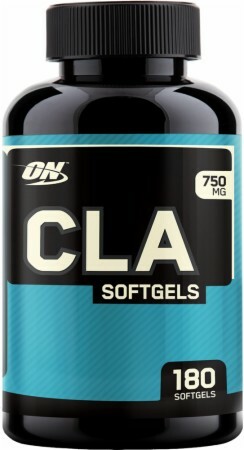 CLA interferes with the fat storing processes and also has been shown to increase lean muscle mass. More muscle as we have discussed earlier results in more bodyfat burned. Increase Metabolic Rate – This will result in more calories burned. Helps with the Immune System – Strong immune system will lead to quicker recovery time from workouts. Recommended Dose: 1-3 Grams at each breakfast, lunch and dinner meals.